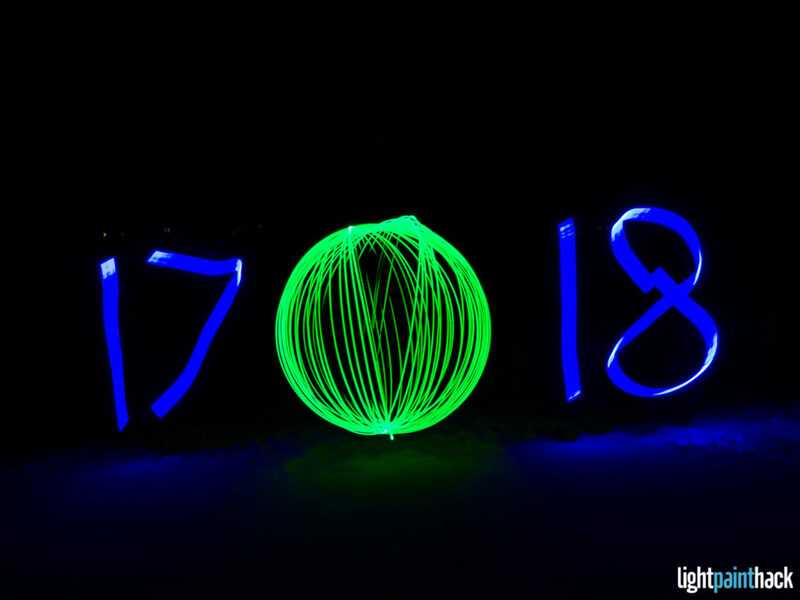 On New Year’s Eve I put together a quick 2017-2018 light painting image. Here’s a quick run down of how it came together. It’s cold here in south-east Michigan, so I didn’t want to go too far in temperatures around -15degC, so my backyard it was. 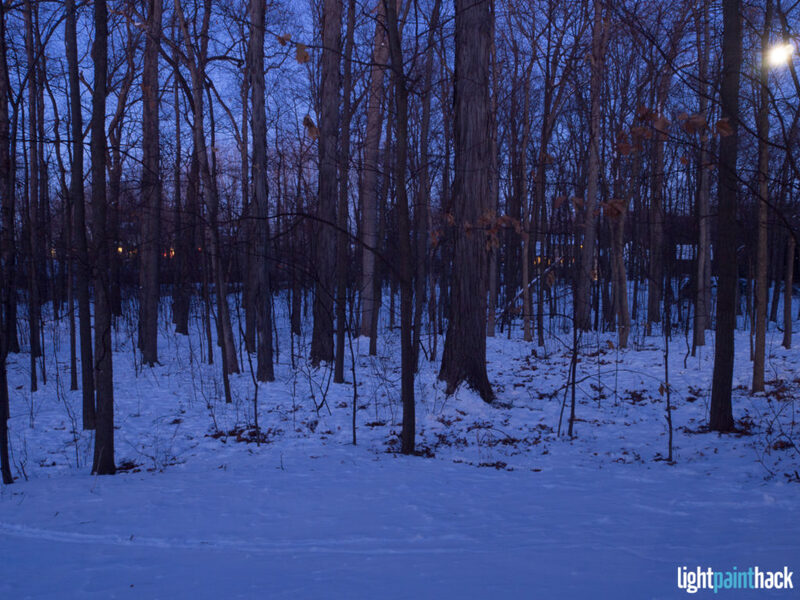 The original plan was to use the trees as part of the shot but a few test shots with indirect light painting suggest that plan needs more thought. 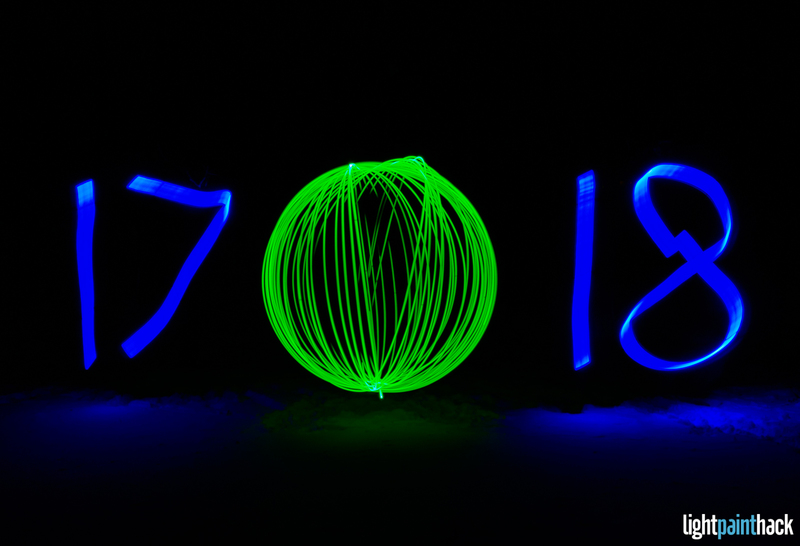 An attempt to indirectly light paint the scene. In this first frame I was trying to get a handle on the frame and remind myself how to spin an orb. As a first attempt it was actually not too bad. 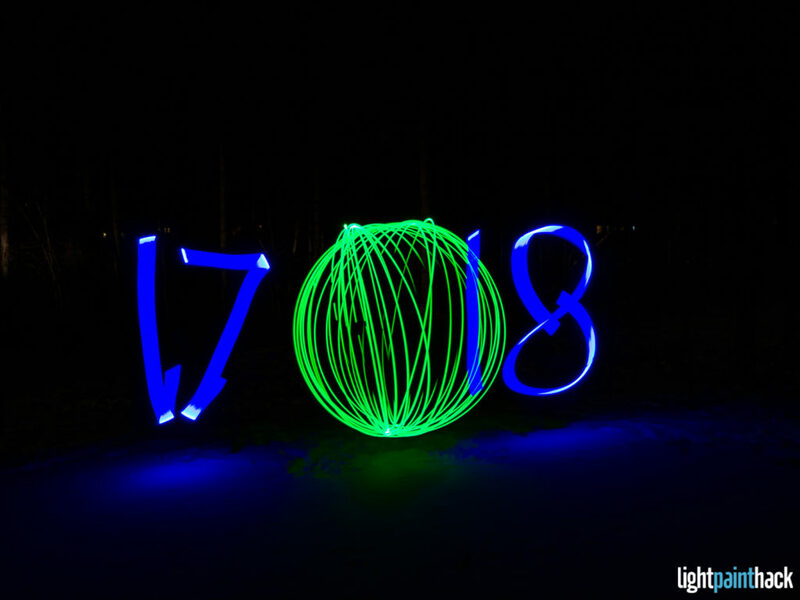 The biggest problem was setting up the numerals relative to the orb. As you can see I was a little off but it was a good start. For the next frame I tried to get the numbers in the right spot after the orb as I did with the first. 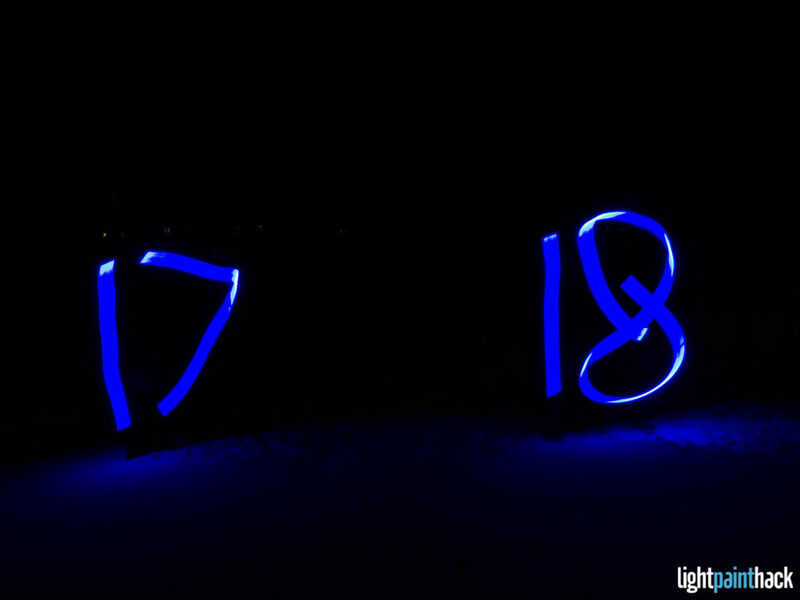 This time I was too far to left of frame with the start of the number 18. 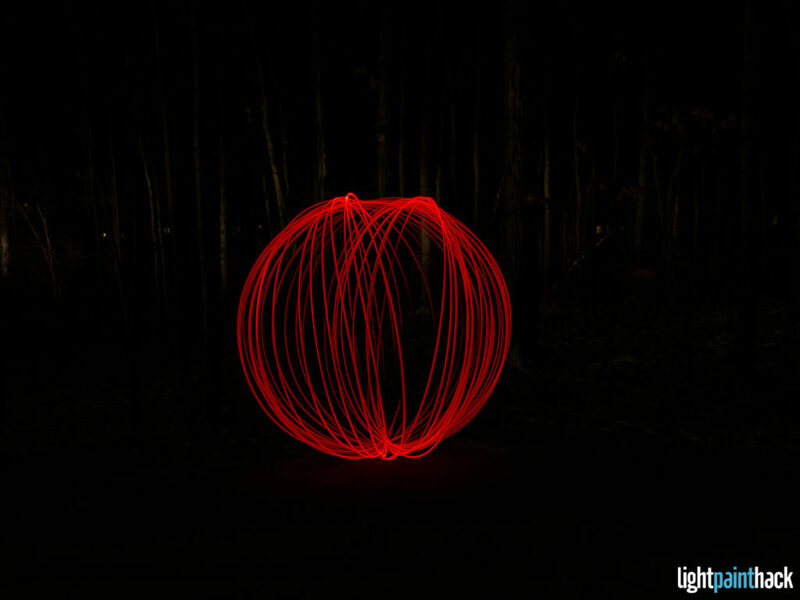 For this shot I decided to try a red corn cob LED bulb in my spinner tool. I was running LIVECOMP on my Olympus for this shot so after I had finished the orb wasn’t quite right and ended the frame before adding the numerals. In this shot I had an orb that was OK so I added the numeral. I was too far to the left of the frame with both. After this attempt I went back to the green tool which in hindsight was the wrong decision. 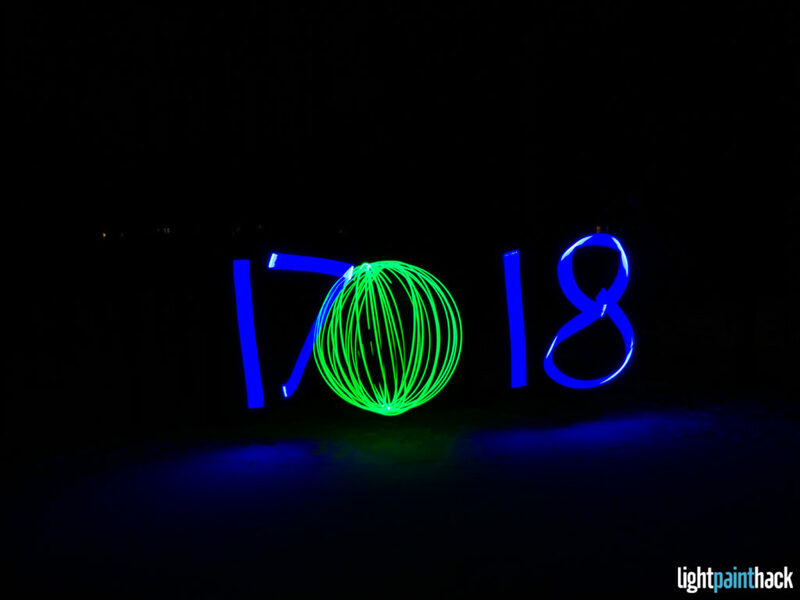 I also really like how the numerals are over the orb in this one so I plan on going back with these two tools to paint some letters and numbers over orbs. With my inability to set the numerals beside the orb and noticing my numerals were inconsistent I decided to start with them first. The number 8 from attempt 4 was my favorite and stopped both attempt 5 and 6 after seeing the numerals. The 8’s in these were not good so adding the orb was going to be pointless. 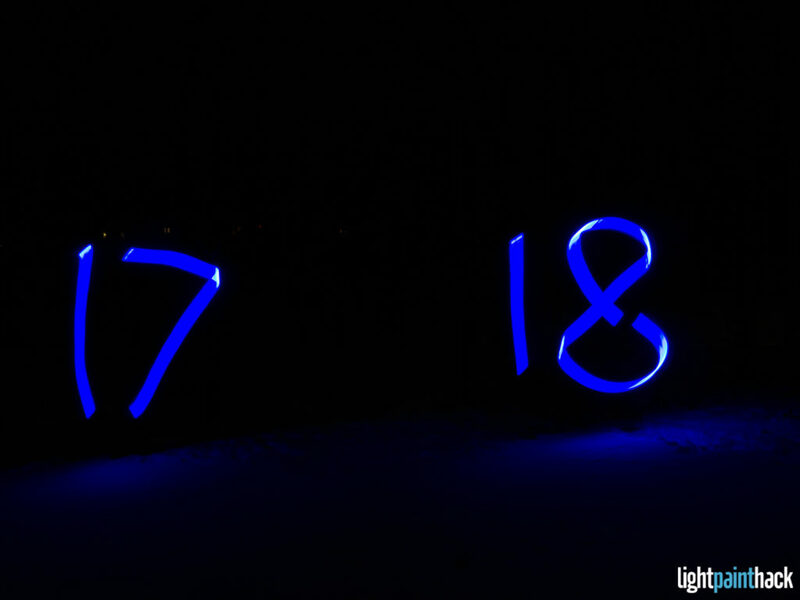 As I mentioned earlier….it was cold here on New Year’s Eve. Too cold for an Australian that normally would expect an NYE to be 30+degC. So this is where the session ended. I did the numerals first and they were OK (even the 8) so I added the orb. The image falls over there a little but my orbs were never great. The first image below is unedited from the RAW file and the image after (and at the top of the article as the featured image) is after some crop, alignment, exposure and colour corrections in Adobe Lightroom. Work on my orbs – they still are not great. I need to figure out what is wrong, how to correct it and how to get it right every time. 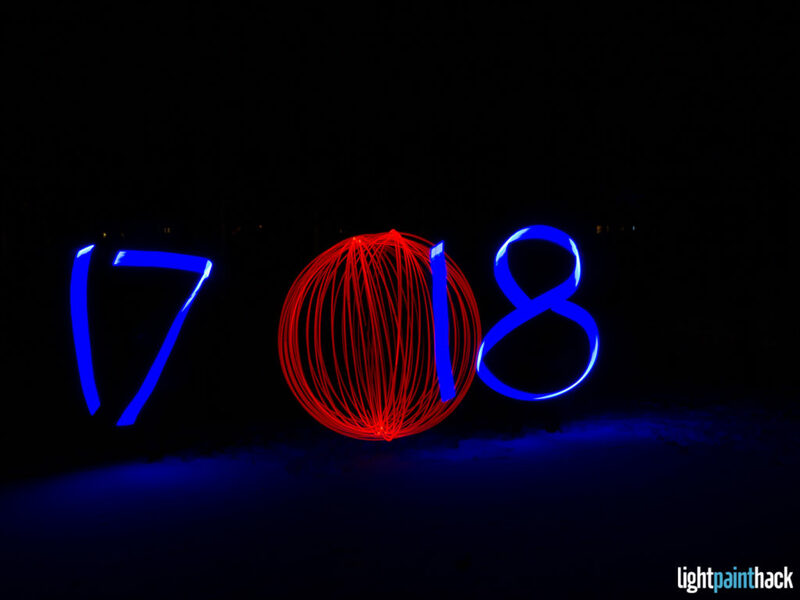 Characters over the orbs – I really like the soft blue numeral over the red orb. I want to play with this some more. 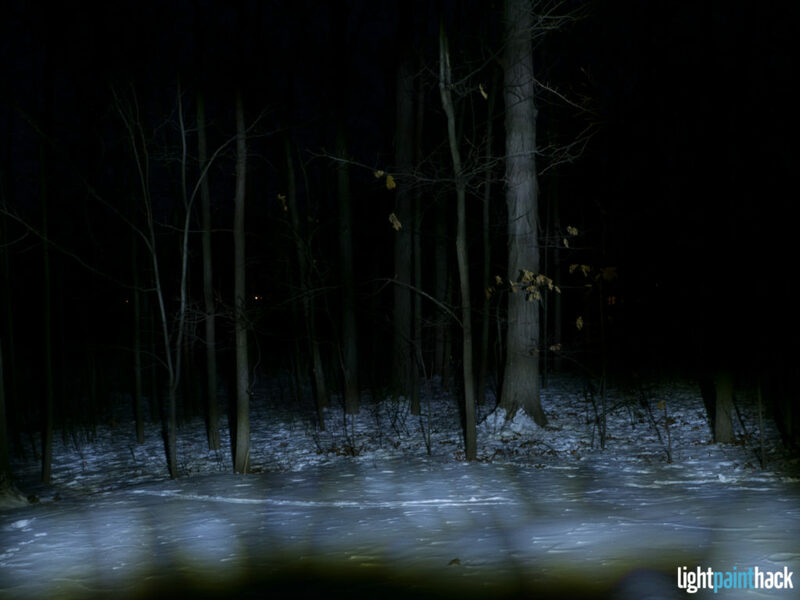 Light painting the scene indirectly – I like the idea of doing this but have not figured it out. Also looking at some other similar scenes it would be good if I used some filters or gels to do that in colors. Camera Used – Olympus OM-D E-M10 in LIVECOMP mode.